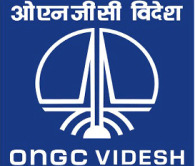 Russia is irked at ONGC Videsh Limited's plan to appoint an American as the chief production officer of its West Siberian subsidiary Imperial Energy and expressed surprise over the oil firm's inability to find someone from their Indian staff. Last month, irked by this and other actions of OVL, Tomsk Governor Viktor Kress canceled his visit to India at the invitation of Petroleum and Natural Gas Minister Murli Deora. "According to the Russian laws, the chief production officer of an oil company bears the criminal responsibility in case of an ecological disaster. In such a case an American would simply catch the first flight out of Russia and our judiciary would not be able to get hold of him in the US," a source in the Tomsk governor's office told PTI. "We also have some restrictions on the access of sensitive maps to foreigners," he added. The source said the information they possess indicates that the US national would get at least three-times more renumeration than the Imperial's Tomsk-based Indian CEO. Although, it is their internal matter, it would have an "adverse psychological" effect on the company, which is in its crucial stage after being acquired by OVL in January 2009. OVL acquired the UK-listed firm Imperial Energy Corporation, an independent upstream oil exploration and production company, having its main activities in the Tomsk region of Western Siberia, for $2.1 billion. According to the Russian government sources, at his meeting with Governor Kress in Moscow on May 21 Prime Minister Vladimir Putin had signaled that Imperial would have to prove its mettle before India could get new stakes in Russian hydrocarbon assets. "This would be a litmus test for OVL. Imperial could become the vehicle for the Indian energy major, with only 20 per cent stake in Sakahlin-1, for its future projects in Russia... So far, they are acting like a bull in a China shop," another source familiar with the matter said. Russia is also unhappy with OVL's decision to scrap investment plans in Imperial Energy, cut wages of staff and closure of several wells resulting in drop in production. Imperial Energy CEO Ashok Varma agreed that some of the activities of Imperial could give a wrong impression. "To the observers it can appear that currently we are at a stagnated stage of production, if not decline. In reality, a serious work is going on," Varma said talking to PTI in his Tomsk office. He conceded that some of the wells were closed to focus on wells with more potential to eventually increase the production.